Time savings. Patients usually have only have to go one time, as opposed to 2 trips with traditional crowns. More conservation of tooth structure. Stronger porcelain. Milled ceramic is stronger than hand layered and pressed. Aesthetics. Homogeneous porcelain blends in better than other porcelains. Natural. 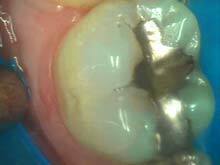 Ability to copy what was previously there can yield restorations that are duplicates of the pre-prepared tooth. For more information keep reading, or call us at Dentistry In Bolton! Trips to the dentist are becoming less and less fearful, thanks to rapid innovations in dentstry. Our office is making these visits even easier and more convenient with new equipment that repairs damaged teeth in a single visit. 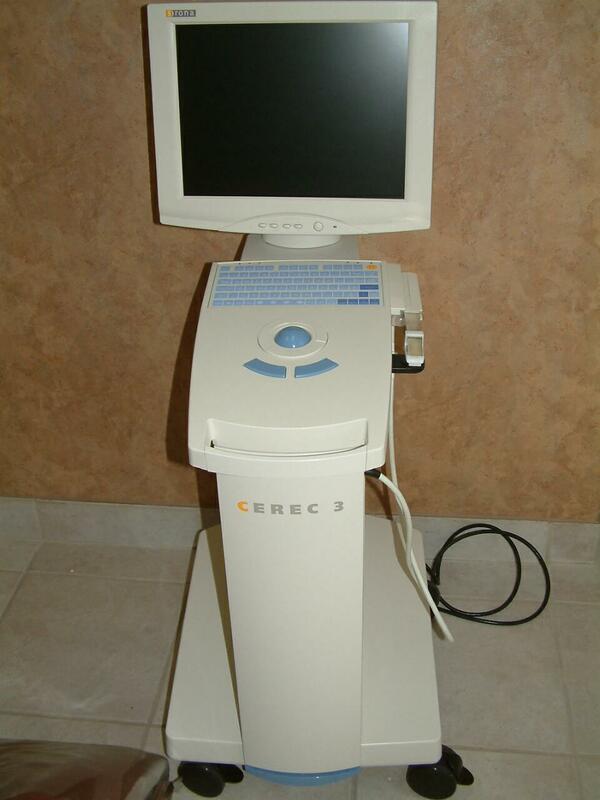 CEREC uses CAD/CAM technology to design and mill precise restorations such as veneers, fillings, partial and full crowns, and all other single tooth restorations. The restorations are made from a single bloack of high quality, biocompatible, anti-abrasive and plague-resistant ceramic material. What’s more, the ceramic matches the colour of the patient’s own teeth and will last anywhere from 10-15 years! You can actually observe us design your new restoration right before yor eyes! A high-speed diamond bur and a disc work together simultaneously to mill the restoration out of a solid block of ceramic material. Finally, the newly milled restoration is bonded to the tooth using state-of -the-art adhesive dental materials. The dentist will determine which type of preparations is to be made on the tooth and the appropriate material indicated based on the amount of tooth structures lost due to fractures, wear on attrition and decay. 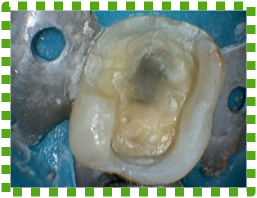 Inlays fit with in the grooves of the teeth and onlays wrap up and over one or more of the cusp tips. 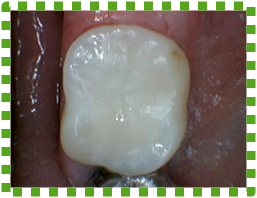 These restorations are custom made in office depending on the material to restore the damaged tooth. 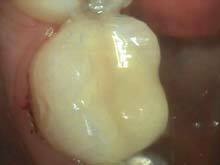 The dentist will remove the damaged decayed or weekend portion of the tooth. Once the tooth is prepared an impression is made. Whether made in the office or at the lab, the restoration is crafted to fit like a “puzzle piece” into the prepared tooth. 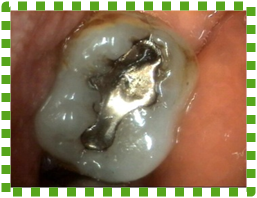 A crown, often called a “cap”, is a prosthetic cover that is placed over a tooth, after the enamel or filling has been reduced, and extends to the gumline. A crown is used to change the shape and colour of a tooth to improve a patient’s smile, or it may be necessary treatment for a tooth that has been weakened or damaged by fractures, decay, cracks, large fillings or root canal therapy. In this case, the crown covers and restores the clinical part of the tooth to its original, or enhanced shape, function, and comfort.